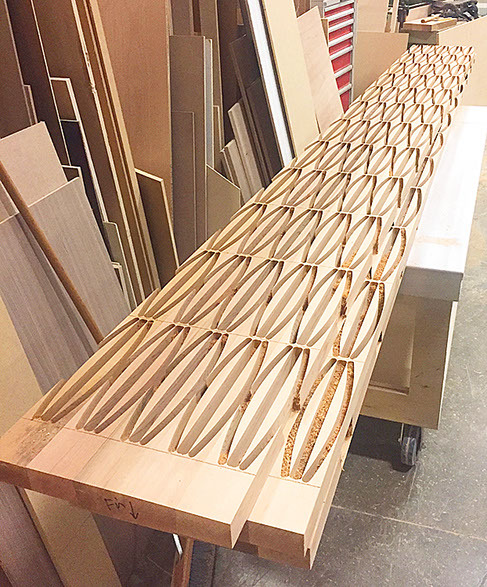 Thoughtforms, an Acton-based contractor that is known for tackling unique and complex projects, came to us with this design for an expansive woven wooden ceiling. 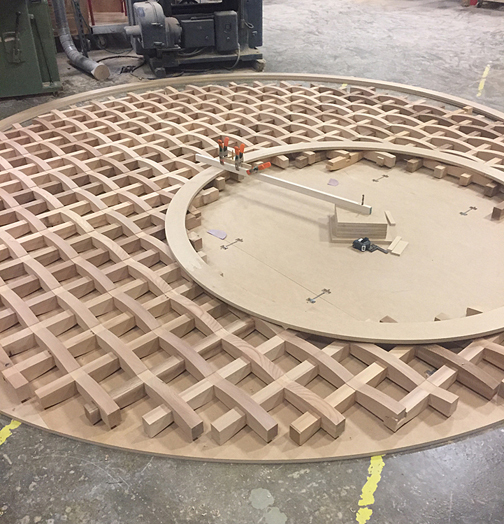 From a small prototype we were able to assess the challenges involved and engineer the design in order to both simplify fabrication and tailor it for ease of installation. 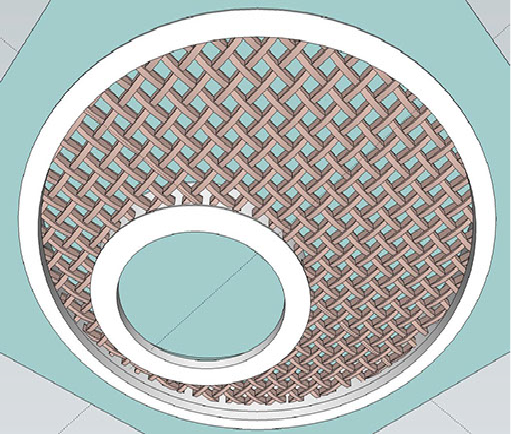 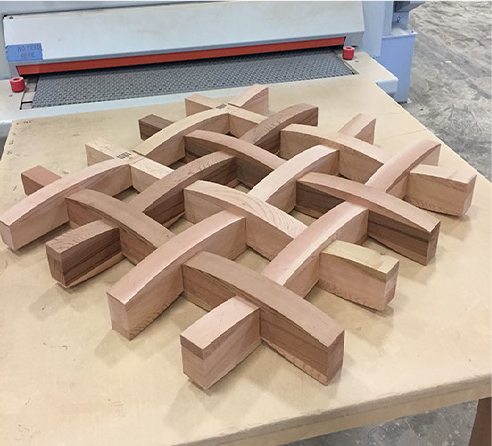 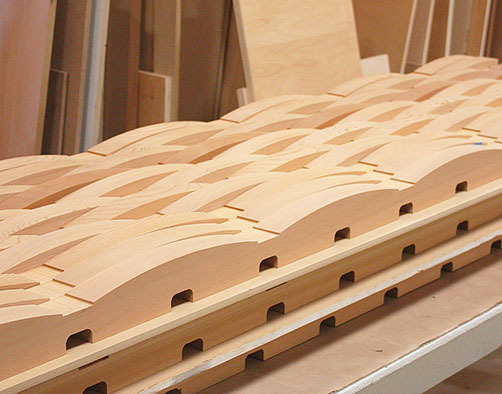 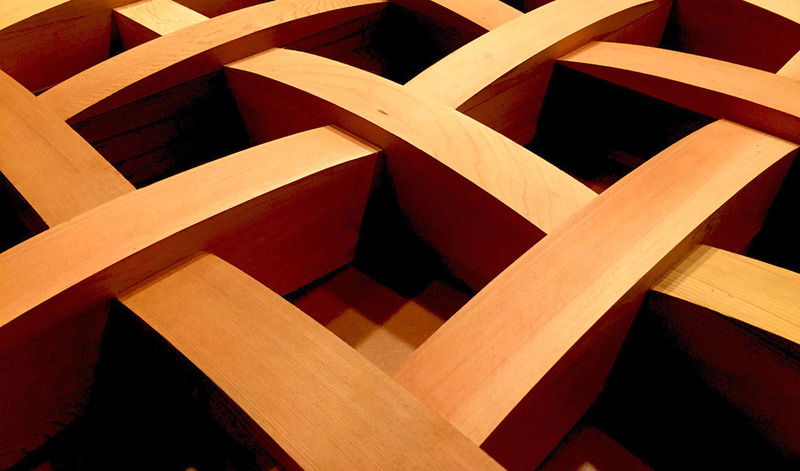 The interlocking structural members require milling precision over a large diameter of repeating pieces so the use of our CNC-controlled router became necessary. 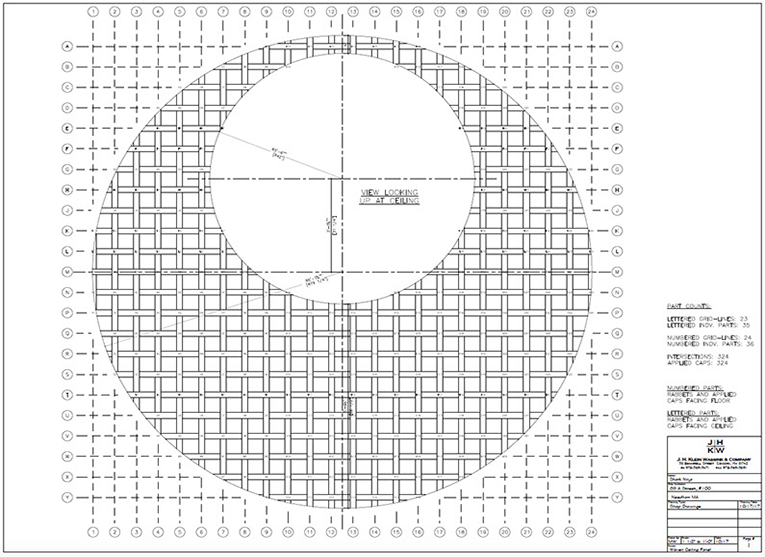 With the aid of a 3D-modeling program, the visualization of the entire panel is more apparent and gives a clearer indication of its scale and beauty.